A ring of the shape of animal and a realistic depiction of a cat. Brings you such an amazing, sweet scene: a mini kitten sleeping serenely on your finger! and are reluctant to wake her up. 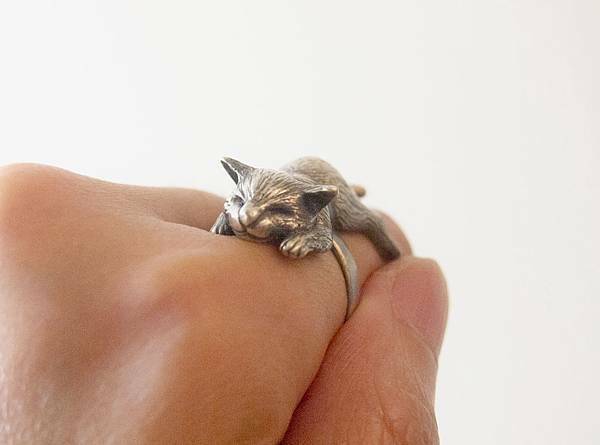 Must every cat lovers enjoy this cat-themed exquisite sterling silver jewelry. Ring size (approx. 55mm) is readily available. Please inform us of your ring size if size adjustment is needed. This service is free before ordering.